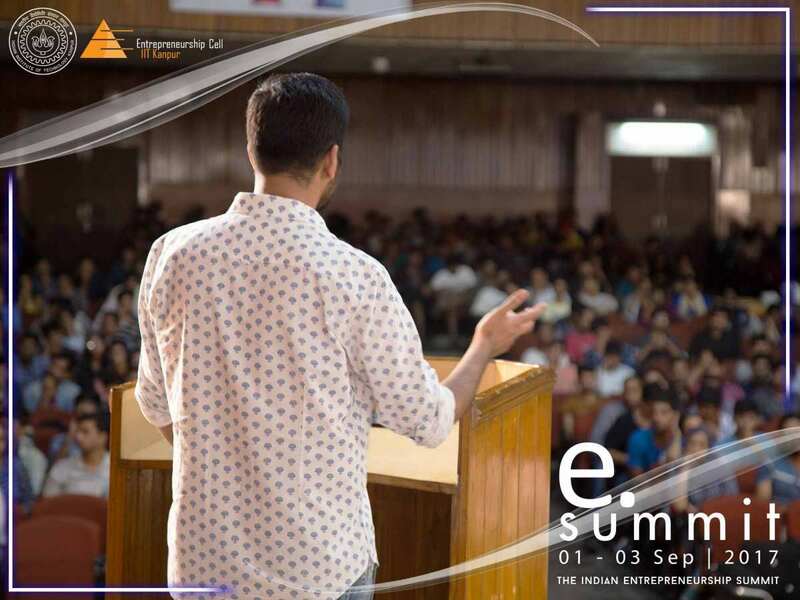 E-Cell organises a variety of events throughout the year to promote entrepreneurial activities in and around the campus. 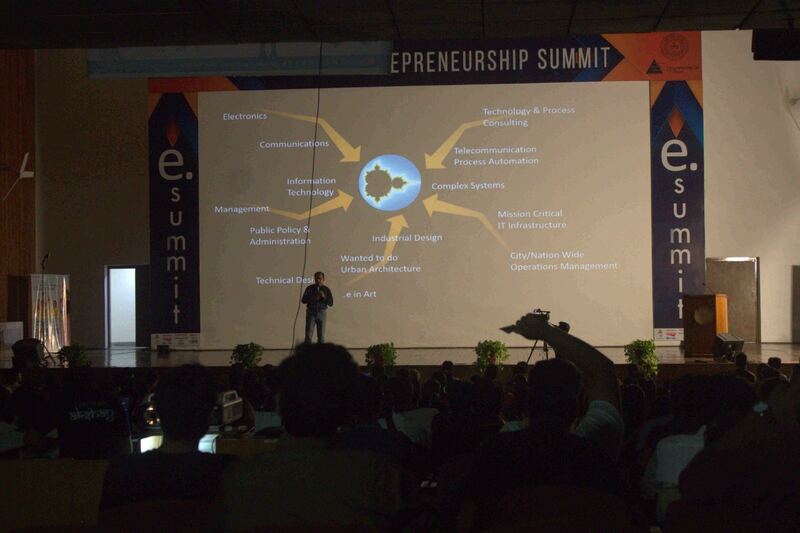 Our annual eSummit witnesses huge participation from all over India. Events like TEDx and StartUp Master Class take the learning to a whole new level. E-Cell also conducts various lectures and workshops focussed at budding entrepreneurs. StartUp Internship Programme helps IITK students land internships in start-ups and get to know their working in greater depth. 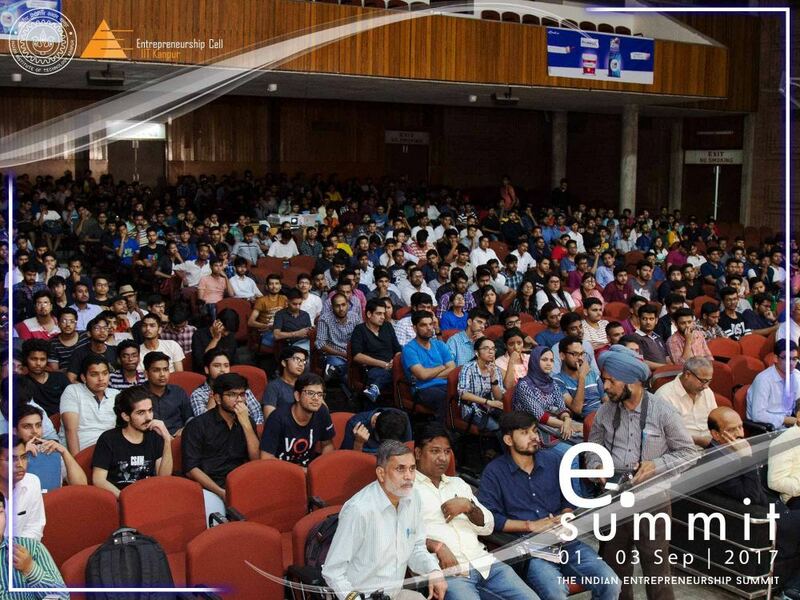 eSummit is an annual flagship event of IIT Kanpur effectuated with the intention to foster entrepreneurial initiatives and activities in the campus to accomplish IIT Kanpur's mandate of nurturing India's future technopreneurs. Sharing of entrepreneurship endeavour and experiences, discussion of ideas and opportunities will be a profuse learning experience for the active leaders of entrepreneurship in the savant community who can then disperse these ideas further. TED is a global set of conferences run by the private non-profit Sapling Foundation, under the slogan "Ideas Worth Spreading". TED was founded in 1984 as a one-off event; the annual conference series began in 1990. 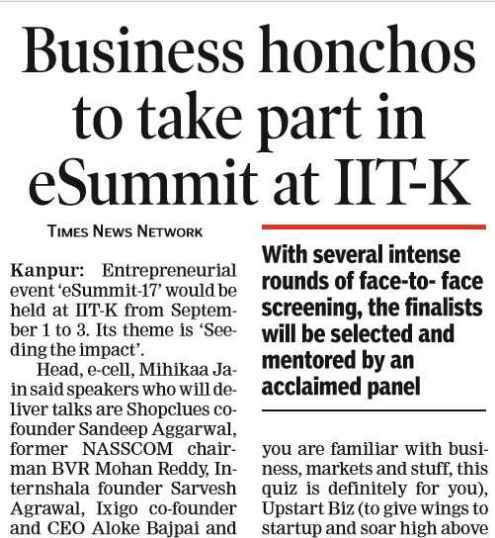 TEDx IIT Kanpur is an independent initiative by Entrepreneurship Cell, IIT Kanpur, under the umbrella of TED, to organize versatile an annual talk series from several eminent speakers from the field of Technology, Entertainment and Design. An event that caters to the budding startups of our country, Upstart stands apart from the conventional Start-up Competition and 10-minute pitching - we strive to give our participants more than just the prize. The start-ups go through multiple rounds of screening, which are essentially brainstorming sessions at different levels and face to face mentoring. Finalists get to develop their ideas and hone their business plans with a panel of mentors. 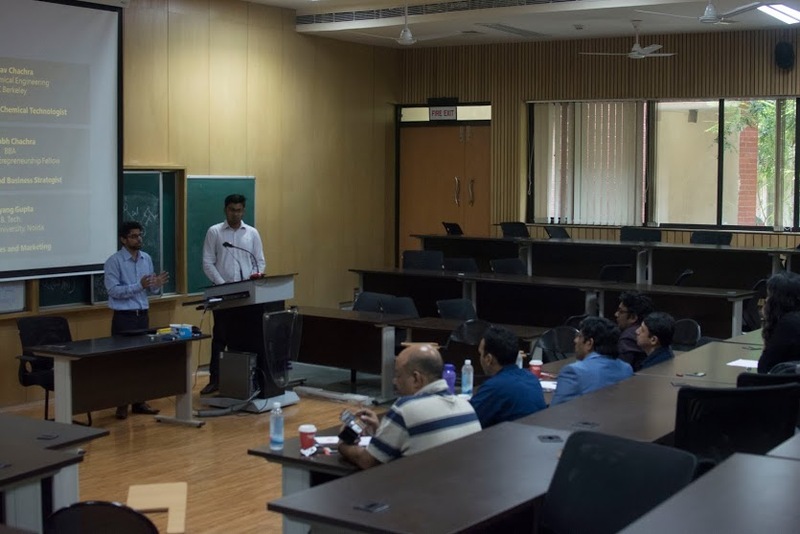 In association with Alumni Association, IIT Kanpur, E-Cell organises StartUp Master Class, a highly enriching and enlightening platform for entrepreneurs, graced by many famous personalities. SMC is a unique format startup event “for Entrepreneurs, from Entrepreneurs”. It brings together startups, mentors and investors to build interactions and strengthen the network within the entrepreneurial community. On November 12th, the seventh edition of the reputed Samsung Innovation Awards was conducted in IITK by Samsung India in association with E-Cell. Samsung Innovation Awards 2017 saw an overwhelming response, with numerous students sending out their innovative ideas. The winners received cash prizes worth INR 2.5 lakh while the five finalists received merit recognition from Samsung. E-Cell, IIT Kanpur achieved great success with Startup Internship Program 2017-18 season with a total of 151 Startups that registered. The profiles included IT/Programming, Core, and Marketing/Business Development. The season saw recruitment from startups like Invento Robotics,Ridlr, Dunzo, Pharmeasy, EarlySalary to name a few. The season witnessed a 73 % boom in the total internships offered than the previous year. Hangouts is special interactive session specifically targeting the campus students. The session is like an informal discussion between campus junta and entrepreneurship oracles of varied arenas. It involves discussions and brainstorming on entrepreneurship matters. Throughout the year multiple hangout sessions are organised. The Ranjan Kumar Memorial Lecture Series is supported by the IITK batch of 1986 in memory of their batch-mate Mr. Ranjan Kumar. The previous year had Mr. Dheeraj Pandey, CEO of the successful startup Nutanix as the keynote speaker for the talk held on 16th February. Ecell brings to its participants a host of events, ranging from immersive talks to exciting competitions! Contact us for any queries, questions, or ideas. Be the first to know about the activities of E-Cell.